Southeast of China lies Asia's biggest gambling destination and one of the world's wealthiest cities, Macau or Macao, the world's most densely populated region. The foremost and last European colony in China, Macau was an overseas province of Portugal until 1999, when it became a special administrative region of China. Today, such Chinese and Portuguese influences overlap in Macau's cuisines, cultures, festivals and structures. Examples of such fusion are the World Heritage-listed streets, monuments, and public squares of the Historic Center of Macau, and the famous Bodhisatta Avalokitesvara, a statue of a Chinese deity executed in Portuguese design. 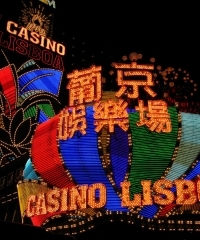 Ever since the world's biggest casino was opened in Macau in 2004, the city has become the new casino capital of the world, toppling Las Vegas in 2006 as the planet's highest-grossing gambling hub. Apart from casinos, many world-class bars, restaurants and hotels are contributing to the lifeblood of Macau's economy and employment, tourism. For those not into gambling, the popular activities are swimming in Macau's two beaches-Cheoc Van or Hac Sa; go-karting at the southern side of Cotai; bowling at Macau Dome; and bungee jumping at Macau Tower. Hiking through the narrow, cobblestone alleyways of the city's Inner Harbor Area would bring visitors to a slew of contrasting structures, which range from old pastel-painted to modern and neon-lit. Specimens of houses and shops dating from their colonial era are in Taipa Village and Coloane Village. The city's largest modern building, the Venetian Macau, is also the fourth biggest worldwide.